Aesthetics. It’s a word that, before the philosophy unit in this class, I didn’t have a lot of experience with. It was, for me, associated with heavily filtered images of snow on Tumblr blogs and “oddly satisfying” videos of bath bombs, but after learning more about this topic in the philosophical sense it became infinitely more interesting. Now, it was pretty difficult to find a single word that encompassed what I found to be aesthetically pleasing, but I feel like this does it some justice. The reason I picked “Flow” is that I find any kind of art most pleasing when each part of the art piece meaningfully and effectively leads to the next. It keeps you enticed into continuing to immerse yourself into the art piece, whatever it may be. Pieces of art that are disconcerting and jarring take you away from the actual art and back into the real world, which for me devalues the experiment. It’s almost like the way we view the world is completely different from the way we view art, and that they can be separated from each other which leads to authentic aesthetic experiences. Which leads me to a more clear definition of what is aesthetic to me, an experience that evokes emotion and keeps you immersed and attentive which can be appreciated separately from the “real” world around you. As for the purpose of art, it can be whatever the artist intends it to be, but it can also be whatever the observer wants it to be. These two things are not mutually exclusive, as it can satisfy both the purposes that the observer and the artist have for it at the same time. This means art is extremely diverse, and also that art cannot be objectively judged because everyone will experience different emotions when exposed to it. This can be boiled down to “art must make you feel something, must keep your attention, and must be considered separately from everything else”. This view is similar to Kant’s view that art is autonomous and should not be judged in comparison to anything else, which I agree with. Comparing pieces of art to anything else is not doing the piece itself justice, because they were not created (usually) to be compared to anything. In terms of art being valued by how it captures your attention, this is supported by the paper “The Aesthetic Experience” that we read by Colin Leath, in which he states that “Concentration is the only universal defining characteristic of aesthetic experience”. I perhaps would not fully agree with it being the only universal characteristic, but I would agree with it being an extremely significant part of one’s experience with art. Now, how does all this tie in with my winter break experiences? Well, not over winter break, but a tiny bit before, I went to see the annual Vancouver Symphony Orchestra Christmas Concert and it was absolutely fantastic. I was amazed by the quality of the players in the orchestra, and of course of the singers in the choir as well. The music was of course excellent, but what elevated the entire experience even more was that the transitions between pieces were smooth and kept the audience enthralled. The host was Christopher Gaze, an amazing actor and artistic director, and also apparently an exceptional host. Between each song he would read short Christmas stories, or excerpts from them and they seemed to pair together with the music so well that the experience was never truly interrupted. There was never a moment in which I was detached from the experience and more invested in the real world rather than the music, it was a truly satisfying experience. Also, as an additional note, the VSO actually played the same arrangement of “Sleigh Ride” as our school did last year, of course they absolutely obliterated us, but there’s something very satisfying (at least I think) in hearing a professional group play a piece you have played before, because it’s almost like “wow that could be me one day”. p1: we are born with certain instincts (communication, senses etc) which can be the potential to learn new knowledge. p2: through experiences we are able to develop/change our instincts and create knowledge. conclusion: we are born with certain innate knowledge, that can be further develop and evolved by our experiences as we grow. 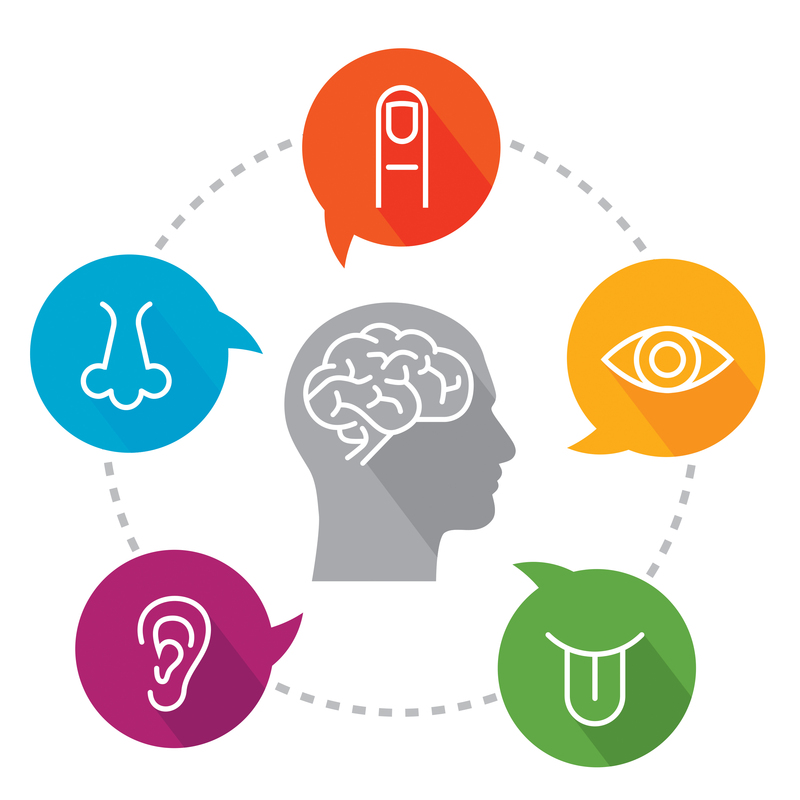 Instincts can be defined as our five senses smell, touch, hear, sight and taste; from those five senses we are able to gain different kinds of knowledge. In this case instincts to me is a “baby” step of knowledge, I believe that we are born with instincts that leads us to learn more. All babies are born with the instinct to stay alive, a study held by Yale show that a baby is able to differentiate between good or bad. They were shown a video with two different colour spoons, one (red) helped another climb a hill and the other (purple) delay the person from climbing up. After the video was shown the babies (6 and 10 month-old) had a stronger preference for the “good” spoon. For some people the experiment can be consider knowledge through experience of watching something, but I personally consider that to be an instinct of survival, because the babies had to sense which of the spoon gave the “trusting vibes”. And from instincts like survival and our five senses we are able to grow and develop, continuing the baby example, the baby now knows that they need to form a bond with someone who they feel trust and love from. They know that as soon as the are out of the womb they need to depend on someone that they feel safe in order to survive. Experiences is something that allows us to grow and learn from, experiences like breakups or relationships can help us gain new knowledge that we didn’t know before. Knowledge gain from experiences can change through out the years, it can be affected by age, gender, generation etc. We are able to create new knowledge from the experiences we make from our five senses, for example a person can gain knowledge from touching a key on a piano, hearing the note or seeing the music. We gain knowledge about feelings from the experiences we go through, we aren’t able to know what the sound of a piano is like from reading a textbook even when one learn to read notes we are going through the experiences of learning (explanations and doing) it rather than rationally discuss about it. Knowledge…where does it come from? Well, to me, knowledge comes from experiences that change through our lifetime, and those experiences were brought to us by our five senses which I consider to be a “baby” step of knowledge. We see that through experiments and research we are able to study that even babies have instincts, to survive, and from those instincts we evolved. Humans were not born with the ability to known what a for example, piano sounds like by reading a textbook without anyone explaining it or actually play (touching keys etc) of a piano. To the philosopher that I agree with, Kant, there are many ideas that Kant shares about his theory of knowledge. But one thing that made me realize that Kant is the answer to my final, is when he says that there are two kinds of knowledge.. I think that the two point stood out to me is that I too believe that, but I lean more to the empiricist side. It makes sense to me that through instincts which we are born with we are able to use them and develop from them, we are able to know that we have the ability to walk or move, and through watching others walk and age we later grain the knowledge of knowing how to work. I think when Kant say that we have part of our knowledge isn’t from experience he is saying that instincts (senses) are born within, but Kant’s theory of knowledge changes through out. 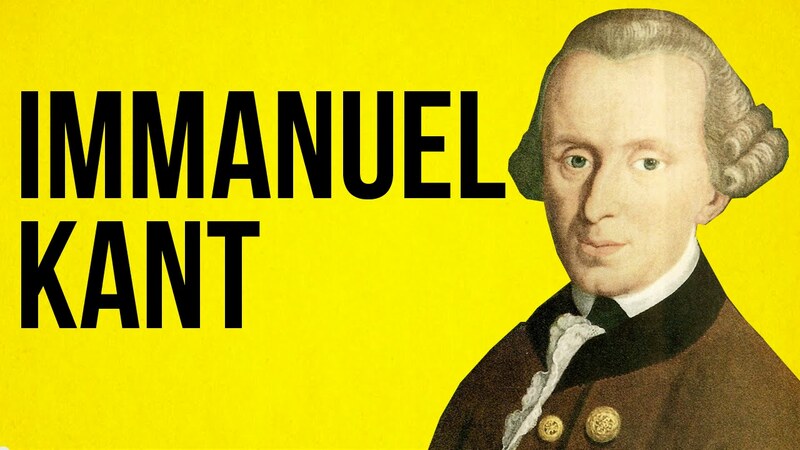 Kant’s work made me realize that even famous af philosophers believe that there can be two different kinds of knowledge in our world, and that their views on knowledge can change. In order to lay a bit of a foundation for this post, I first want to clarify my beliefs regarding the self and where knowledge resides in a person or Being. After conducting my Metaphysics inquiry, I strongly believe in dualism and the idea that self is made of two components: a physical component and a non-physical component. I also believe that the non-physical component of the self is the most important part and is responsible for identity and making us who we are. Finally, I agree with David Hume when it comes to the Bundle Theory of the self, the idea that the self is a work in progress and constructed by our collection of life experiences. In terms of where knowledge resides, I believe that knowledge is the non-physical component of the self and therefore manifests in the mind as opposed to any part of the physical body. Although the non-physical mind and physical body are separate, I believe that they are connected by the brain. The body allows us to experience reality via our senses and the mind allows us to rationalize these experiences and develop knowledge, the brain acts like an adapter between the two. The body interprets reality and sends information to the brain which translates this information so it can be used by the mind to develop knowledge. Conversely, the mind makes us who we are and holds our knowledge, based on our previous knowledge it sends information to the brain which is then translated to control the way our body interacts with reality. My first proposition is that, aside from the small amount of a priori knowledge that we are born with, knowledge is gained through experience. When it comes to gaining knowledge and the empiricism vs rationalism debate, I have a dualist view. Similar to the idea that the self is both physical and non-physical and cannot be a true self without one of the components, I don’t believe that knowledge can be gained purely through empirical observation or entirely through rational thought. In order to gain knowledge, empirical experiences need to be rationalized by the mind. Through this process connections can be created between new and prior experiences and diverse experiences can build upon each other to create an intricate and ever increasing network of knowledge. For example, there is often a correlation between a person’s amount of life experiences and level of knowledge, especially higher level knowledge. Older people are considered wise because they have experienced more of the world and have gained a diverse network of knowledge. Likewise, young children are considered blissfully ignorant or innocent because they have experienced less of the world and are not aware of or haven’t developed knowledge of some of the awful things happening. This also is closely related to Plato’s Allegory of the Cave, gaining knowledge can be likened to moving further and further out of the cave and striving for enlightenment. While humans may not be able to ever gain enough knowledge to fully achieve enlightenment, I believe it is entirely possible for a society to do so and has been done in the past. When the collective knowledge of a society is synthesized it is possible to overthrow old beliefs and leave the cave to start again in the light, examples of this include the renaissance period and scientific revolution. My second proposition about knowledge is that knowledge builds one’s identity. During my Metaphysics project, I came to the conclusion that the self is a collection of life experiences interpreted by a person’s senses or more simply memories. After exploring Epistemology, I now believe that these “memories” or “interpreted life experiences” can be more accurately classified as knowledge. Our experiences, when rationalized, synthesized, and connected to one another become knowledge and this knowledge makes us who we are. Our previous understanding of reality will affect the way that we interact with reality in the future and therefore shape our identity, the way other people perceive us, and even the way we perceive our self. This also supports the idea of individuality. Even if people arrive at the same understanding or gain the same knowledge they must achieve it in different ways. No two beings can exist in the same space and time; therefore, no two people can experience reality from the same point of view. Additionally, no two people’s senses can be guaranteed to be exactly the same. On the other hand, two people may share the same experience but gain different knowledge from it. Depending on an individual’s senses, pre-existing knowledge, and place in space in time they will experience and rationalize reality differently. Learning and gaining knowledge of new things can alter a person’s self or identity. I have experienced this in my own life as a result of learning the bagpipes. Prior to learning, I had no understanding of the language of music, now I have a whole new set of knowledge and I’m able to think in a completely different way. I have also had opportunities to travel and compete across Canada, the US, and Scotland as well as gain friends and mentors from around the world. I have expanded my understanding of reality and this has in turn significantly altered my identity, I can’t imagine the person I would be without my understanding of bagpipe music. Similar to a person who has left the cave, it can be frustrating when non-piping people in my life don’t understand me but I wouldn’t go back into the cave and give up my knowledge, it would feel like giving up a piece of myself. My propositions are supported by the ideas of philosophers including David Hume who introduced the Bundle Theory, Plato and his Allegory of the Cave, as well as by Immanuel Kant. 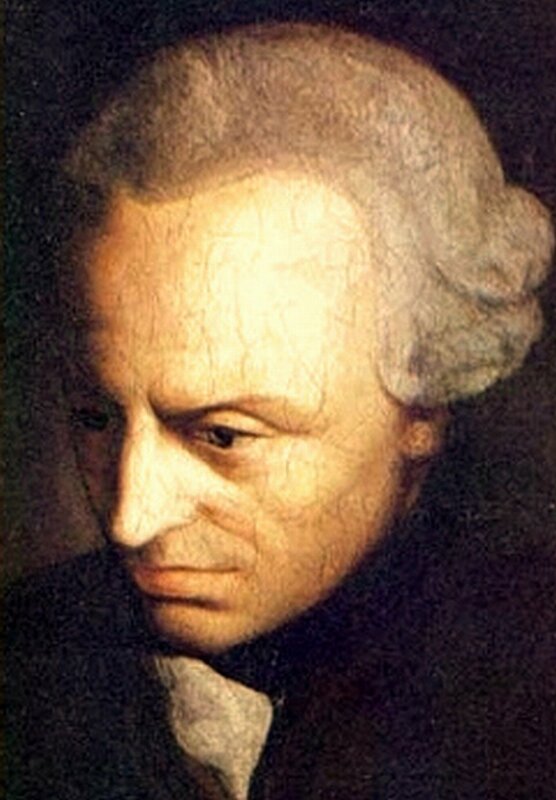 I feel as though I align strongly with Kant’s ideas, especially transcendental realism, which I used as the first premise in my first syllogism, and a priori knowledge. In conclusion, we gain knowledge through living life and experiencing new things and this knowledge contributes to our identity. For this reason it is important to constantly work to expand your horizons and gain new knowledge through new experiences and sharing knowledge with people different than yourself. This is the only way to strive for understanding and enlightenment and, in my opinion, the way to truly live life. So, for this midterm I had no idea what I wanted to do at first, but after the first free writing session I came up with a proposition. I came up with this because when I thought of really knowing something, I thought of being familiar with an action or a subject. When one is extremely familiar with an action they can reproduce it at any time without effort or even thinking of it, save the momentary “I am going to do this action” thought. In a sense, to me knowledge it at it’s most valuable when it can be reproduced without thought, because of experience and familiarity with it. The premises preceding this proposition make things a little more clear. The truth of the premises is debatable, as both premises are subjective to the reader or writer, but to me these premises are true and they are what I base my opinion of knowledge on. For the first premise, the reason I define knowledge as being familiar with a subject is that the definition of experience is pretty much being really familiar with something. For example, an experienced chef will be able to tell you how to make dishes in certain ways and how to bring out certain flavours because they themselves have gone through these processes hundreds, even thousands of times. Because they have experience with it they are able to easily produce dishes with their gained knowledge. The second premise basically is talking about the difference between conceptual knowledge and applied knowledge. Reading a manual on how to set up an IKEA chair is different than actually physically setting up the chair, that’s the idea that this premise draws from. And of course, the conclusion. If my premises are true, then the conclusion must be true. Basically, what I’m saying is that once you become familiar enough with something, especially an action, you can replicate it without thinking, and it is in that action that the most valuable knowledge lies. This means that something like muscle memory, when your body physically remembers certain actions, is more valuable than knowledge of how to do an action. For example, I am a musician and I play piano. When I learn a song I learn it slowly, I have to think about each and every note I hit and constantly use the sheet music for reference. As I get more and more familiar with the song I can start to go faster, and when I’m going faster I can’t rely on the sheet music as much, I have to simply know where some notes are. Eventually I can memorize the song and play it anytime that I sit down at the piano, this is because I have ingrained every key hit, every note into my body and I can replicate it without hesitation. Even when I’m playing a song I have memorized completely, I can think about something else while my body continues the action. Even if I make a mistake, I know the song so well that I can register it and remember to correct it in the future. It is at this point that knowledge is at it’s best and most valuable. Being able to reproduce a song without thinking means I have to know every little detail, every rhythm, every note, every key, I have to have a lot of experience with the song. Because of this, I have more knowledge of the song than someone who does not have as much experience with it but is able to look at the sheet music. Of course, the mind is part of the process of learning the song and transferring what I see on the page to the actions in my hands, but once I know the notes and keys I no longer have to rely on the mind to monitor my actions as I perform them. When the body no longer has to rely on the mind to replicate an action is when you know you have basically the best knowledge possible of that thing or action. This argument lines up a little bit with the thinking of Kant with his mindset of “All knowledge comes from experience” and the belief that the physical world is real. It opposes Descartes because if there is no physical world then the actions I perform would not matter, and therefore would have no place in knowledge. It’s based a lot more empirically than it is rationally, because really an action is about the feel of it. The experience of how your body moves and how it performs the action is more important than the concept of what the action does, it’s using your senses to judge how you’re performing the action rather than the mind and reason. In conclusion the entire argument is a little bit like a more complicated version of “practice makes perfect”, it’s all about repeated exposure to an action or a subject. The longer you practice an action for the easier it will get until you can do it without needing to think, your mind can think about something else while your body does the thing. It is in this that the most valuable knowledge lies. Is great philosophy, by its nature, difficult and obscure? To some degree, all texts need interpretation. Working out what people mean isn’t simply a matter of decoding their words, but speculating about their mental states. The same words could express quite different thoughts, and the reader has to decide between the interpretations. But it doesn’t follow that all texts are equally hard to interpret. Some interpretations might be more psychologically plausible than others, and a writer can narrow the range of possible interpretations. Why should philosophy need more interpretation than other texts? …some great philosophy is creative in a way that is incompatible with clarity. It doesn’t seek to construct precise theories; rather, it reaches out to unmapped areas of thought, where we do not yet know what techniques to employ, what concepts to use, or even what questions to ask. It is more like artthan science, and it makes its own rules. It is not that such work is defective by being ambiguous; it is trying to do something that cannot be done clearly, and its aim is precisely to stimulate diverse interpretations. In addition to connecting to our visit this coming Friday with UBC professor Dr. Mark Aquash, the case provides a local look at our ongoing discussion of systemic oppression. 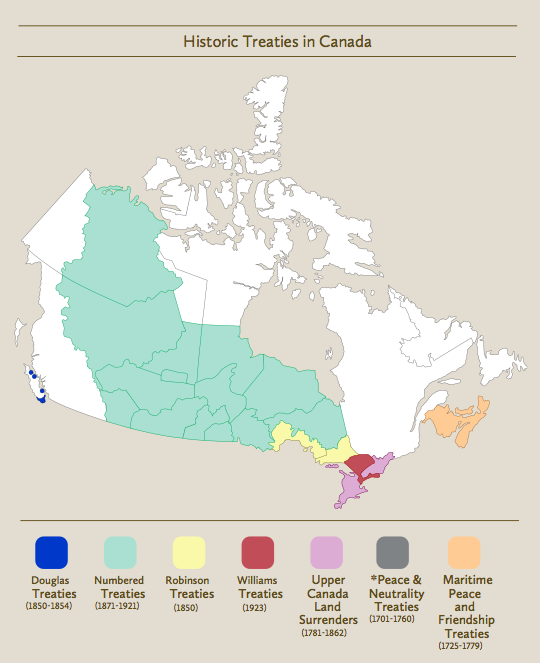 Hamilton’s piece includes a great many references to scholarship and historical research into the British Columbian and North American history of colonialism, and poses difficult questions for those of us who have been contemplating the moral reasoning of John Stewart Mill, Immanuel Kant, and John Rawls. How might each of these three moral philosophers approach these recent events? In the history of thought there is probably no philosophy that has posited the question about man with the intensity, extensiveness and centrality equal to those present in Kant’s philosophy. It is well-known that in his last work, Logik, which appeared as edited by his student Jaesche, but reviewed by Kant himself, he sums up the three fundamental questions which guided him throughout the elaboration of his own thought (‘What can I know?’, ‘What ought I do?’, ‘What can I hope for?’), in the one, fundamental question, into which every other question flows: ‘What is man?’. In each of his works there come to light aspects of the humanity in man which circumscribe to man, in an ever more precise and essential way, a proper and irreducible character. In this way of approximation to the being of man, the experience of beauty comes to have a singular place. We live in a society which prides itself for being modern, sophisticated, and cultured. A society hoping to fight corruption within systems, a society boasting cutting-edge research, a society living with justice and cohesive ethics. While many of us could agree with this, many others would disagree due to the way our society deals with different ethical dilemmas, especially regarding the controversy of animal experimentation. Before we discuss the philosophical ideologies applicable to this problem, let us define animal experimentation, and look at some concrete pros and cons it brings to society. Animal experimentation is defined as “the use of non-human animals in research and development projects, especially for purposes of determining the safety of substances such as cosmetics and drugs”, thus we find two distinct purposes for animal testing: developing cosmetics and drugs. Cosmetic animal testing is used to determine the toxicity, appropriate dosage, and safety of an ingredient before it is put into product. There are many types of tests cosmetic companies run to determine the safety of an ingredient, such as the infamous Draize test, where a substance is applied to the eye of a restrained rabbit and reactions are monitored for up to three weeks. John H. Draize, Ph.D., the scientist who invented to Draize test, also developed a skin irritancy test in which high concentrations of test substances are applied to a rabbit’s shaved skin and reactions are observed. The rabbits are then disposed of after the experiment. Most cosmetic animal tests are a variation of Draize’s tests, and bring about both pros and cons to society, which we can evaluate with the different philosophical ideologies we discussed in class. Cosmetic testing makes humans happy. Would this maxim of “doing what makes us happy” bring about good if implemented as a universal law? Simply, no. Some people find happiness in killing others. Some find happiness in wealth, and sell their souls to corruption in order to pursue their desire. Some find happiness in being aesthetically beautiful, and this happiness is often brought about by products which have been tested on animals. So we see that this maxim of “doing what makes us happy” cannot bring about only good if made into a universal law, and thus is considered immoral by Kantian ethics. 1600’s: William Harvey dissected animals to observe how blood flowed through the body. This resulted in the discovery of the circulatory system and how the heart pumped blood throughout the body. Early 1900’s: Louis Pasteur proved the germ theory (that germs attack the body from the outside and cause diseases) to be true by infecting sheep with anthrax. He went on to discover how diseases were caused and the developed vaccinations for these diseases. 1920’s: Frederick Banting experimented on dogs to find the role the pancreas played in producing insulin, discovering a way to treat diabetes. 1950’s: Researchers and scientists injected streptomycin into guinea pigs diseased with tuberculosis, proving the capability of antibiotics to stop and reverse disease. 1960’s: Albert Sabin infected numerous animals to be living hosts of Polio, creating a living vaccine to inject into humans. 1960’s: Albert Starr pioneered heart valve replacement surgery by learning and practising on animals. The discovery of heart valve replacement surgery. No longer was a full heart transplant needed if someone had a diseased heart, technology could now replace unhealthy heart valves. Moral: I am testing on animals to decrease the amount of human physical suffering in this world. So, would I want to live in a world where everyone worked to decrease the physical suffering of humans? Yes. Therefore, testing on animals is ethical. Immoral: I am subjecting a living being to inhumane circumstances for the benefit of another living being. So, would I want to live in a world where every being could torture another being for the benefit of another? No. Therefore testing on animals is unethical. The large difference between the two maxims is that they differ on how they view the rights of non-human persons. If we value them less then humans, then yes, it’s ethical. If we grant them the same rights as humans – such as the right to security of person – then no, torturing an animal is completely inhumane and unethical. So we ask you: does with rights come responsibility? And if so, what responsibilities are animals fulfilling which grant them this right to security of their being?